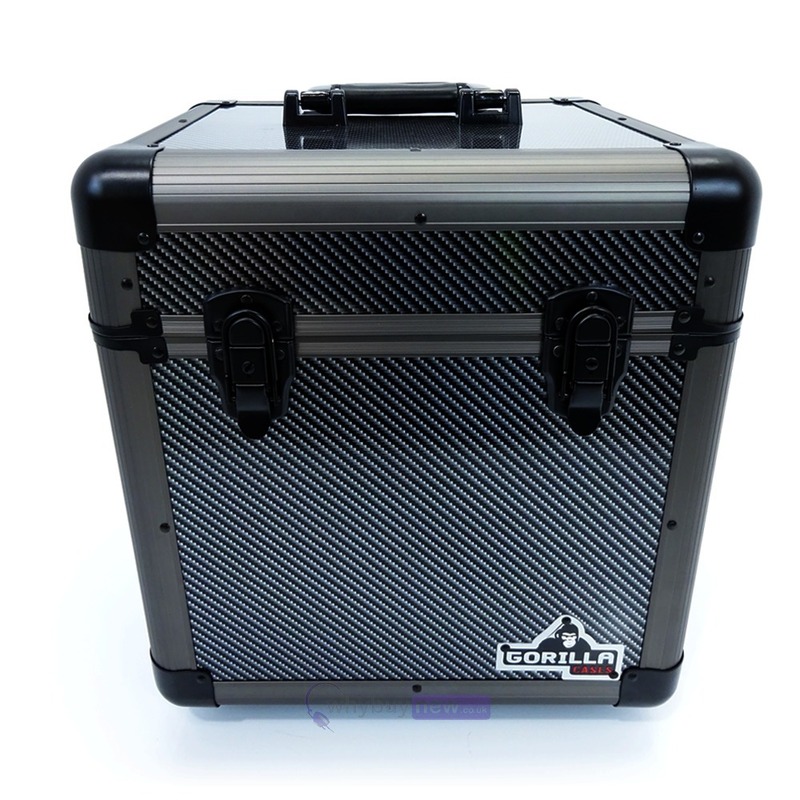 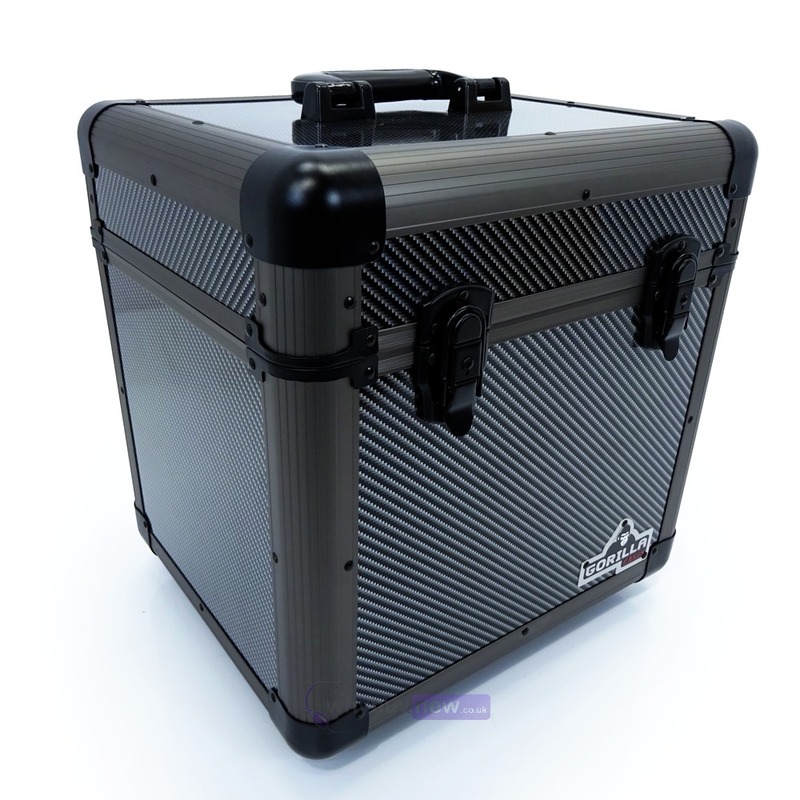 This ultra cool looking Gorilla LP80 (holds 80pcs records) 12" Vinyl Record storage case in carbon fibre style finish is the best in it's class, featuring strong but light weight design, strong latches (including locks and keys) and uses a high quality foam interior. 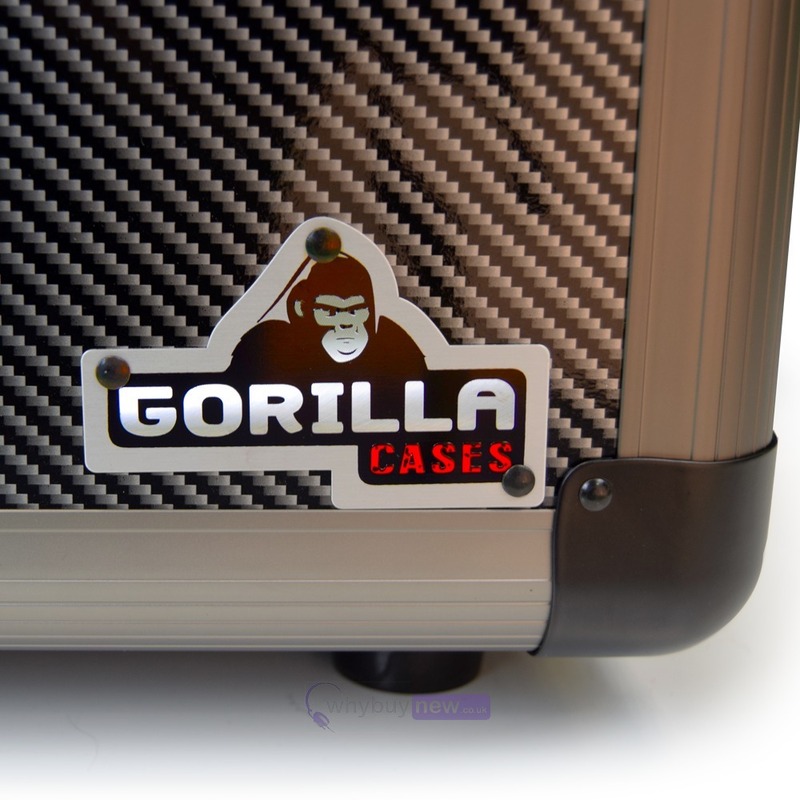 We believe that there is no other case stronger than this Gorilla to protect your 12" vinyl at this price. 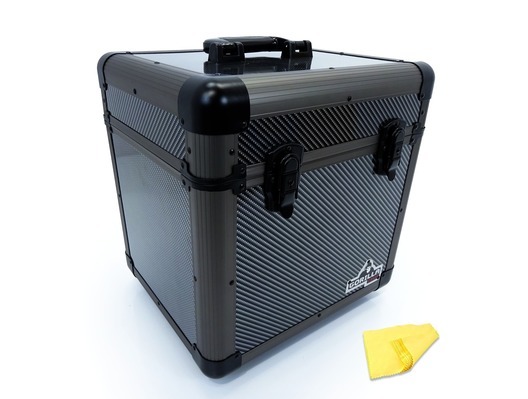 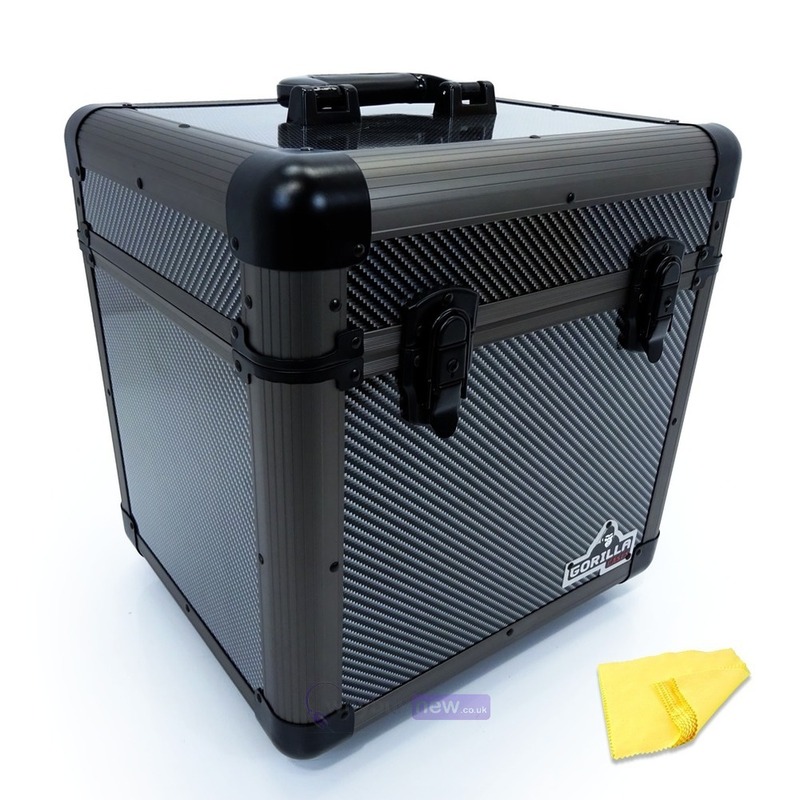 This superb looking vinyl record storage case comes in carbon fibre finish with black corner protectors and titanium color edge protectors, twin lockable latches with keys included, large rubber feet enabling you to stack more than one, is foam lined and includes, not only a lifetime warranty but a free vinyl record cleaning cloth too! 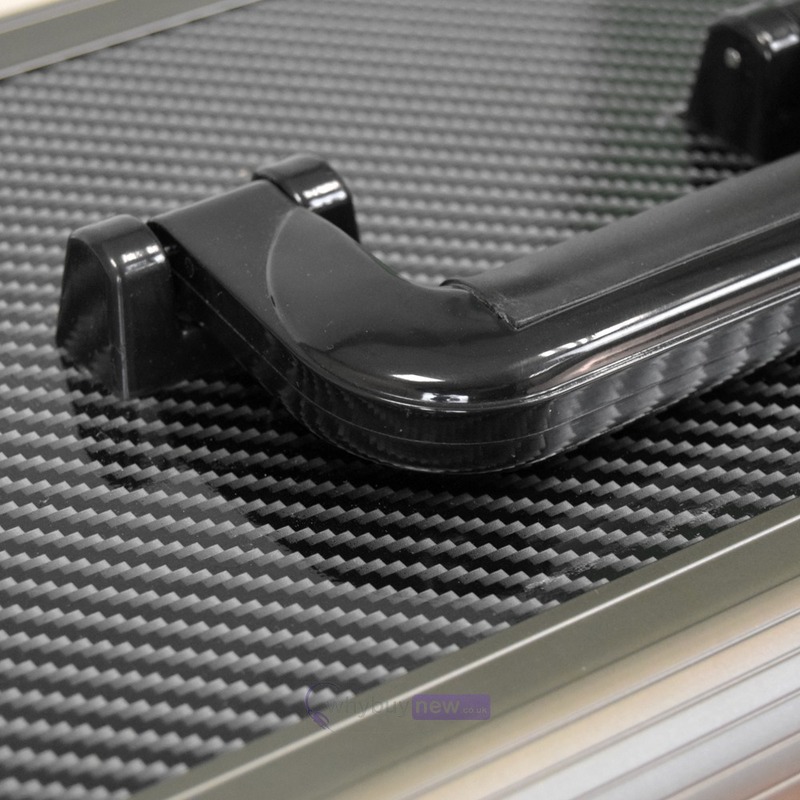 Better looking in the flesh, terrific quality and is a superb product. 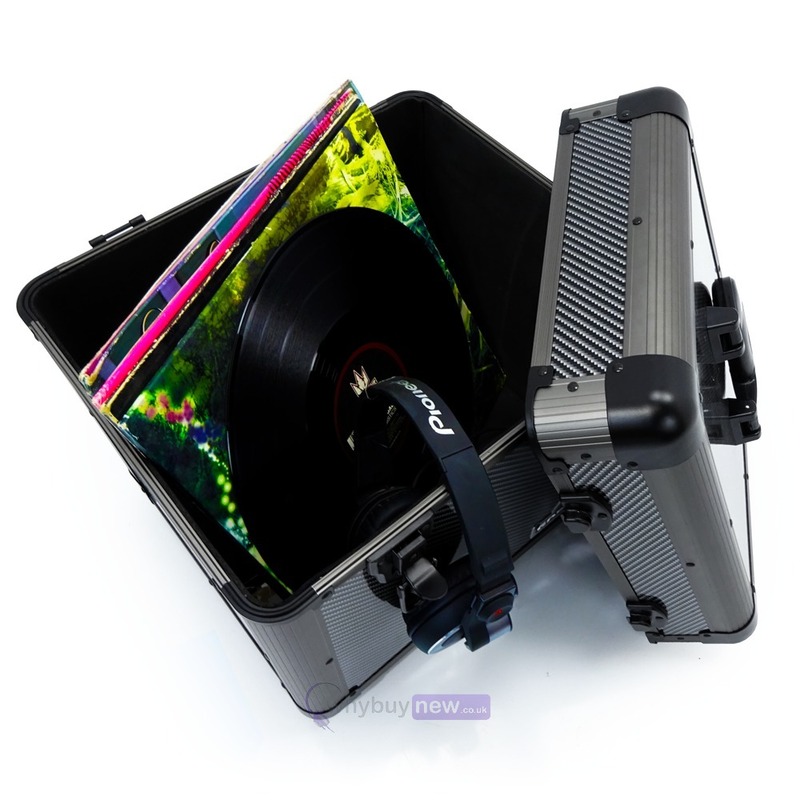 I am delighted with it.